17 Creative, Fun, Cool and Unique Coffee Mugs! (HAPPY) Best Gift Ideas for Everyone! I found the Coolest and Most Unique Coffee Mugs for Sale! I found some pretty wacky, cool and FUN coffee mugs for sale online and I decided to create this page today just to show you my favorites! 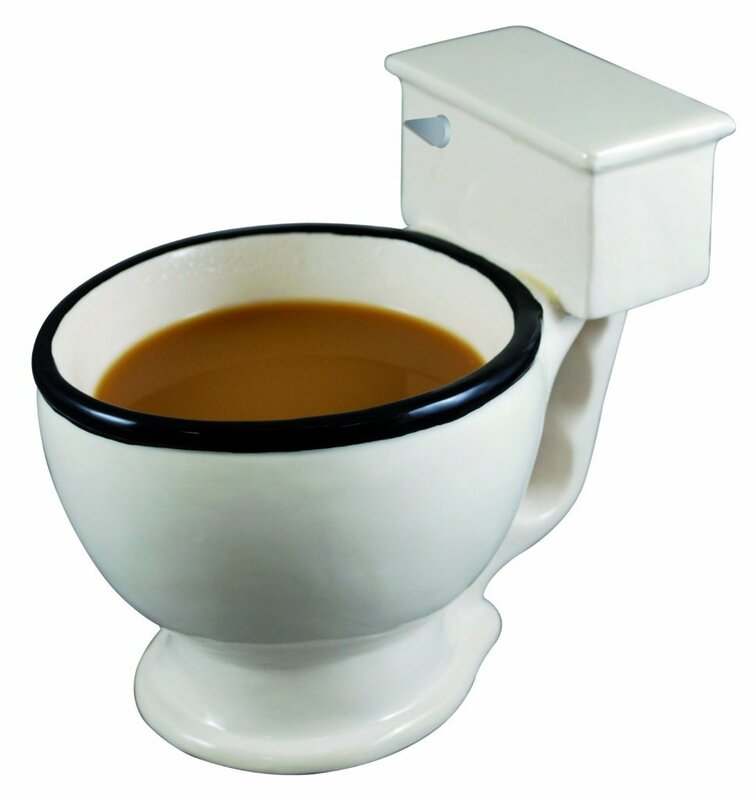 *This toilet shaped coffee mug is one of the most sold crazy coffee mugs around! After all, who doesn’t want to drink their coffee out of a cool toilet, right??? They are not only fun, but cheap! Just imagine serving coffee to your guests using one of these! 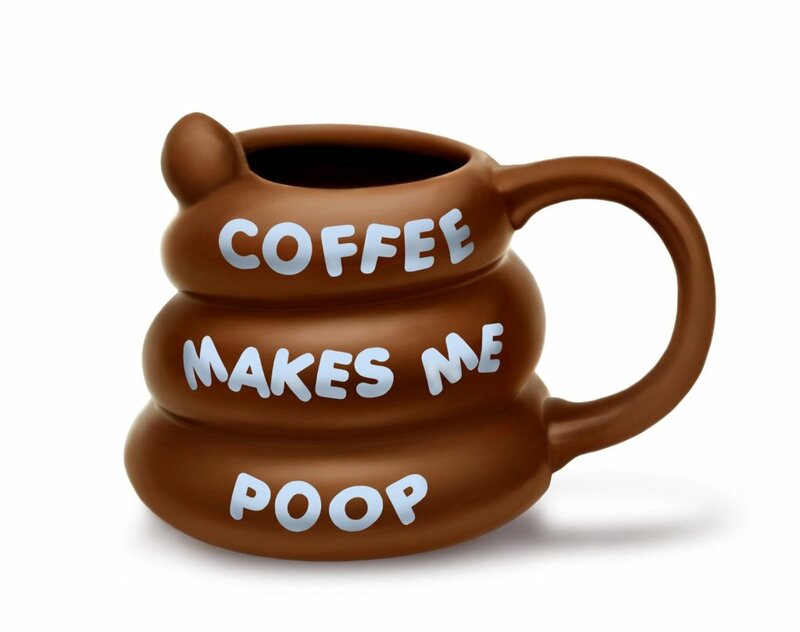 Hilarious Poop Shape Coffee Mug for Sale! That’s what I’m talking about fellow coffee drinkers! The next best thing after drinking your coffee from a toilet, is to drink from a funny poop shaped coffee mug! Cool Recycling Bin Coffee Mug! Fun Coffee Mugs for Sale! Is that a garbage can coffee mug? 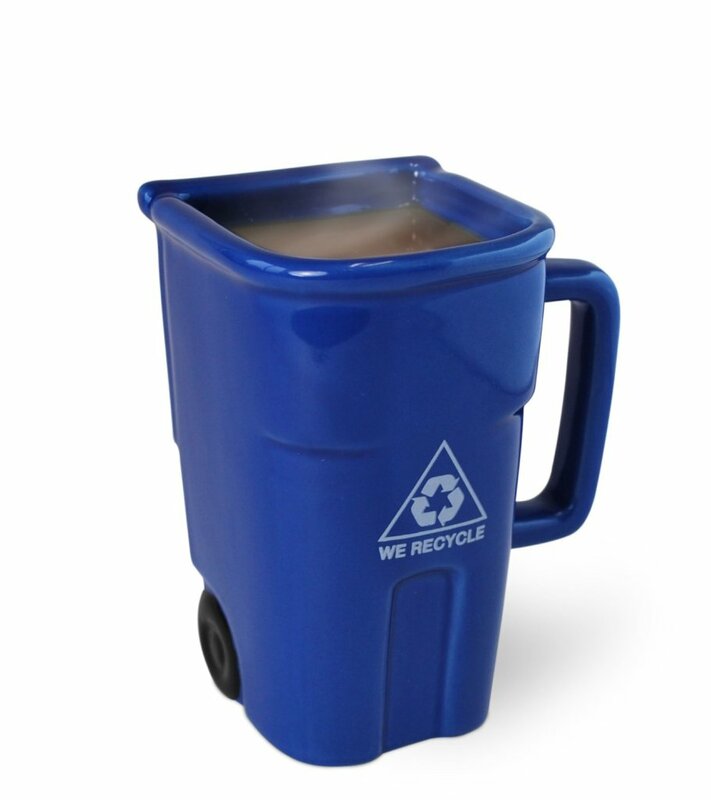 It’s actually a cool blue recycle bin shaped mug! 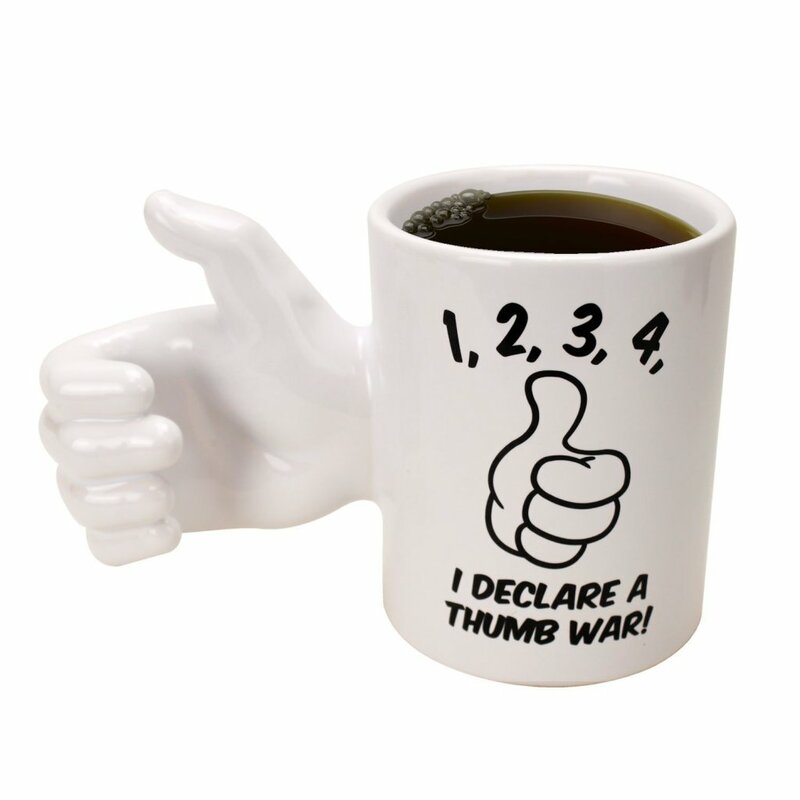 Fun Thumb Wresting Coffee Mug! This fun coffee mug is always ready! It can actually ‘thumb wrestle’ with you while carrying your hot coffee! Is it a ray gun or is it a rocket? Then this is the right coffee mug for you! 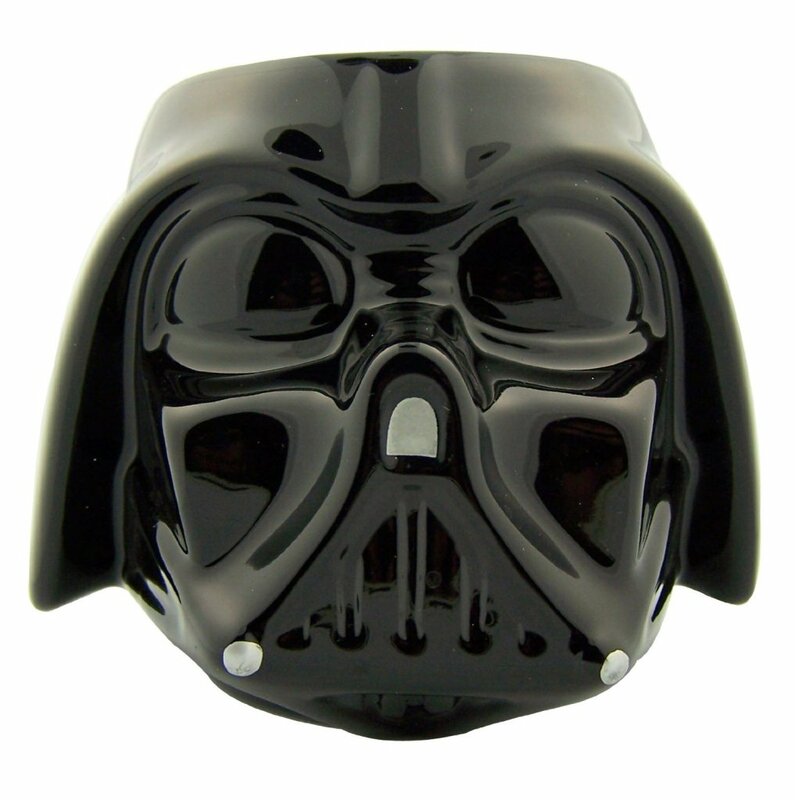 Your very own Darth Vader mug! First time I see one! 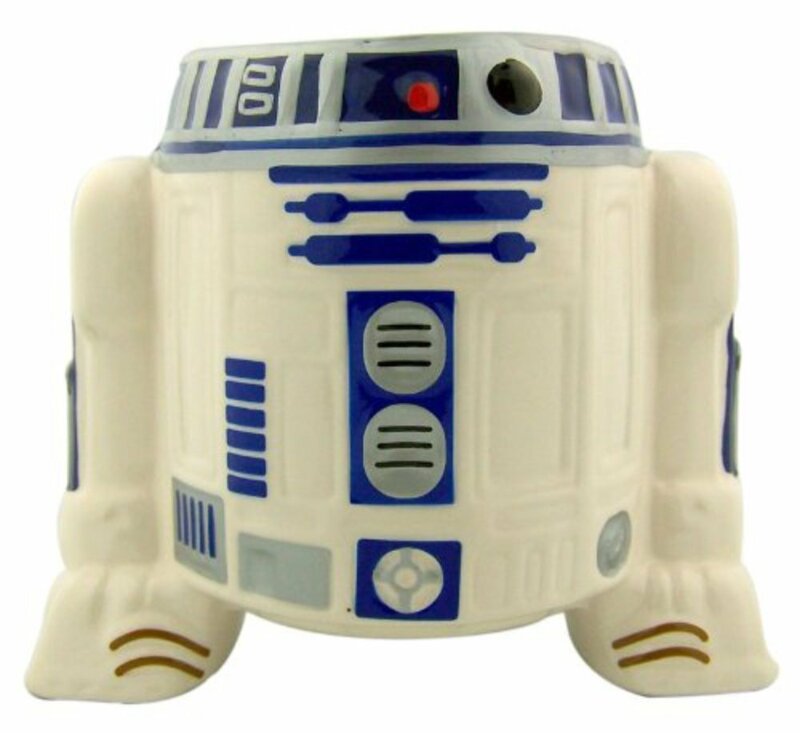 Star Wars Character Robot Coffee Mug! Crazy and Unique Coffee Mugs! 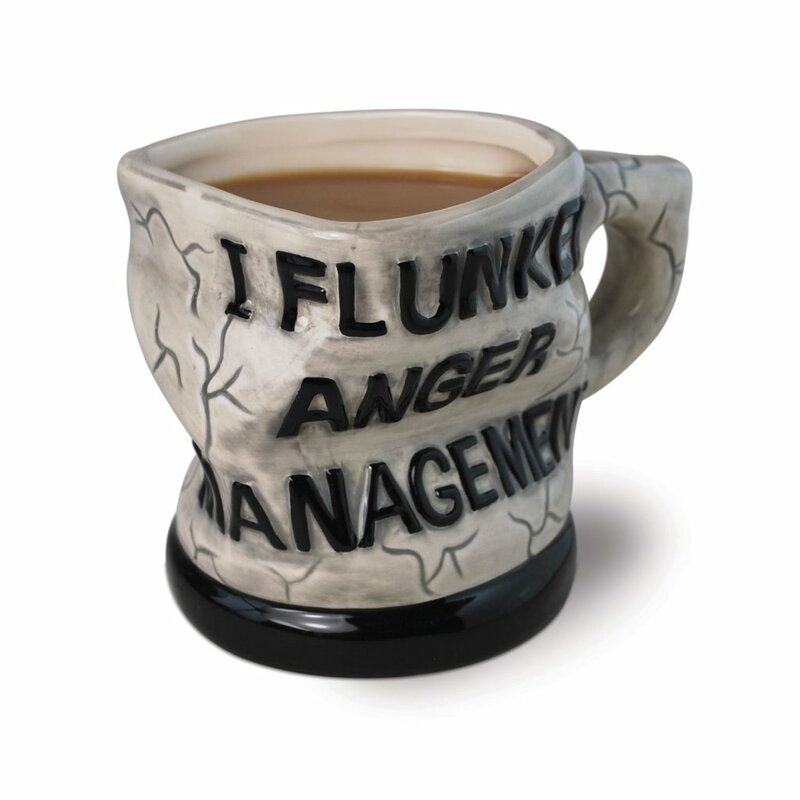 If you know anyone dealing with some anger issues, I think this is the best crazy coffee mug for him! He won’t have to destroy it in anger! Then this is the perfect coffee mug for you! 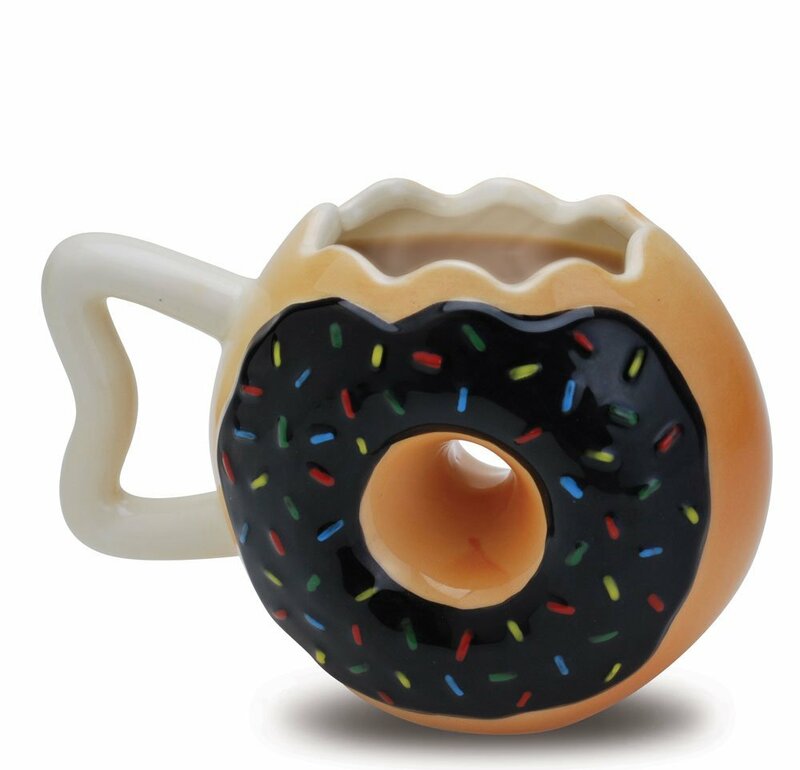 It’s a sprinkled donut shaped coffee mug! The Coolest Coffee Mugs Ever! This is your coffee mug! 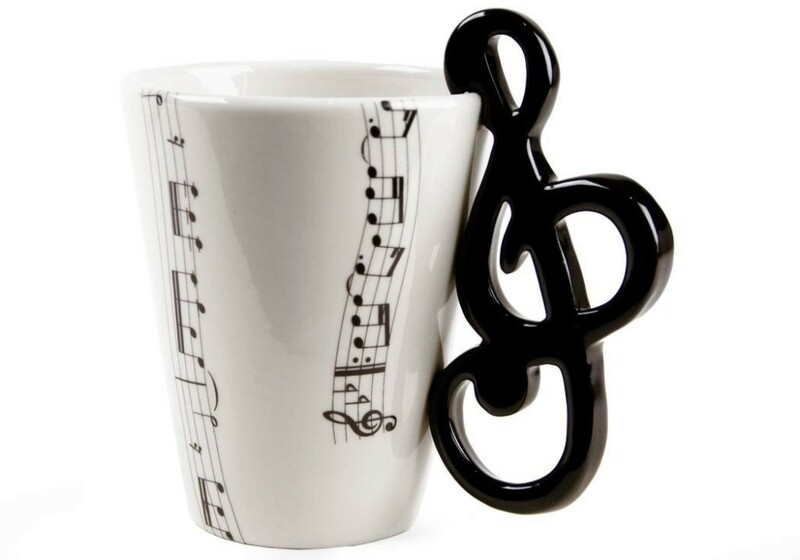 It is a very unique, cool and fun musical note mug! 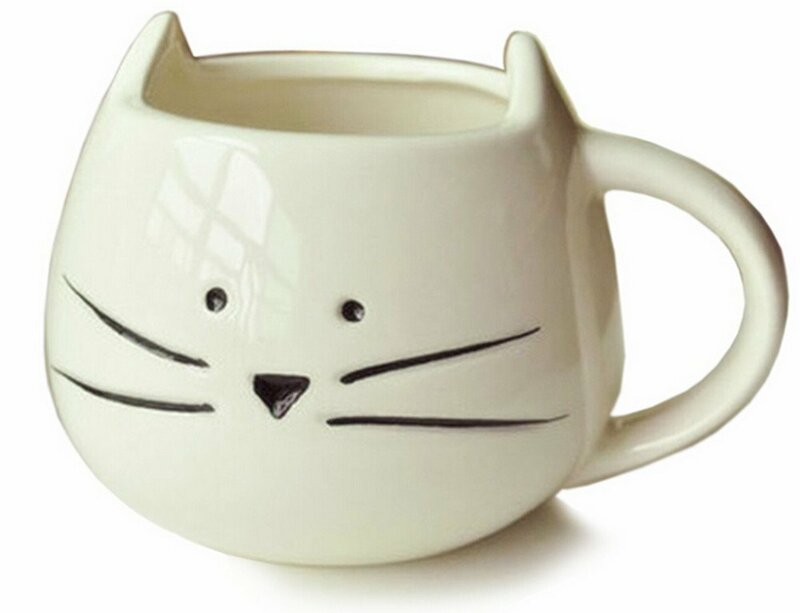 Cute White Cat Shape Ceramic Coffee Mug! Time for all the cat lovers out there! 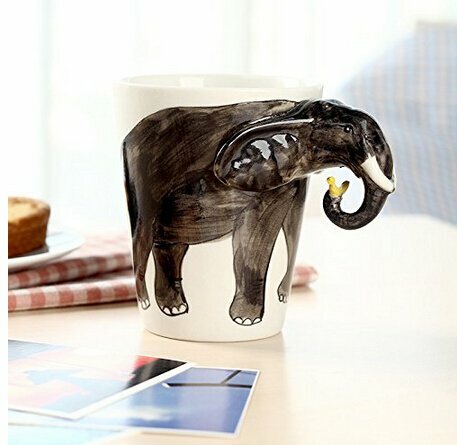 Amazing Hand-Painted Elephant Ceramic Coffee Cup! Talk about creative coffee mugs! Have you ever seen a 3D elephant coffee mug before? How’s that for a cool elephant gift idea for an elephant coffee lover? 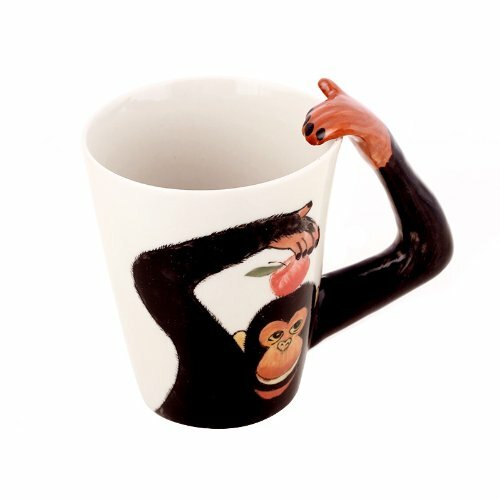 Very Cool Chimpanzee Coffee Mug! Fun 3D Animal Design Coffee Mugs! Another fun and very unique 3D animal design coffee mug for sale! It’s a cute chimpanzee mug! How perfect is that for any animal lover? I want to collect them all! You can have your own ‘coffee mug zoo’!! 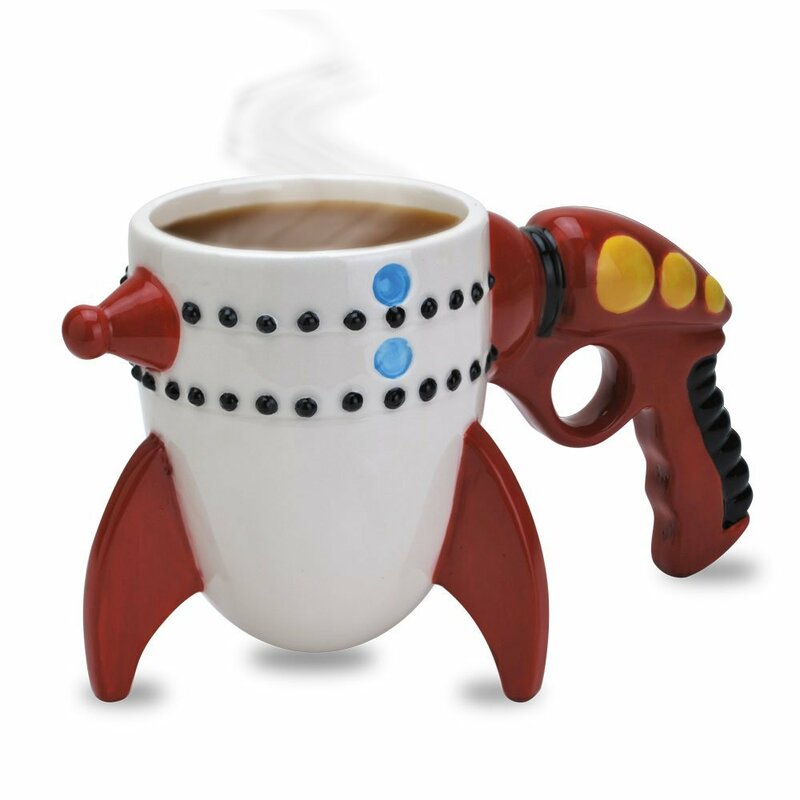 Then this is the perfect creative coffee mug for you! 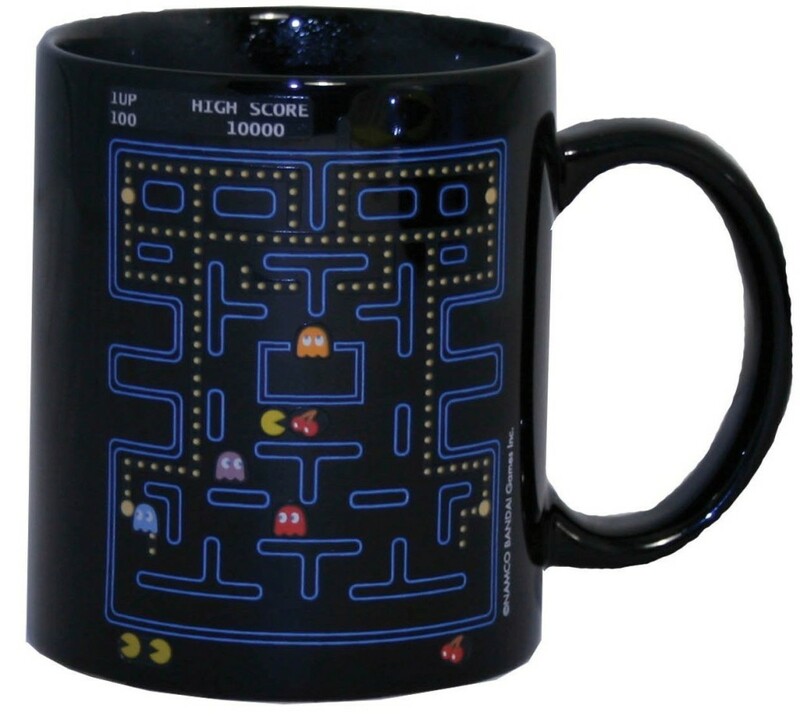 You only see Pac Man when you fill it up with coffee! 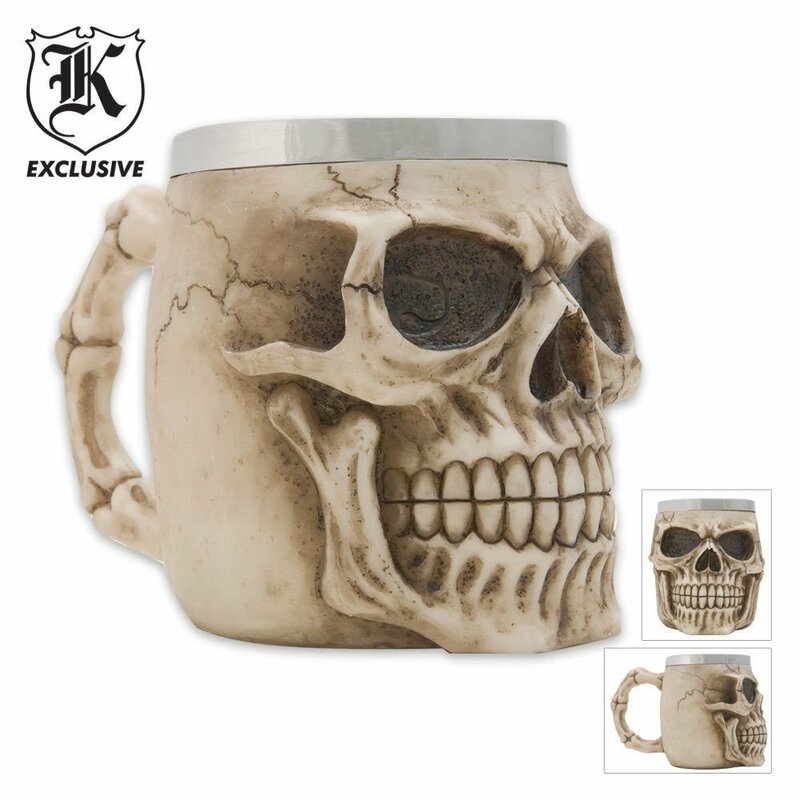 This is a very cool skull shape coffee mug! 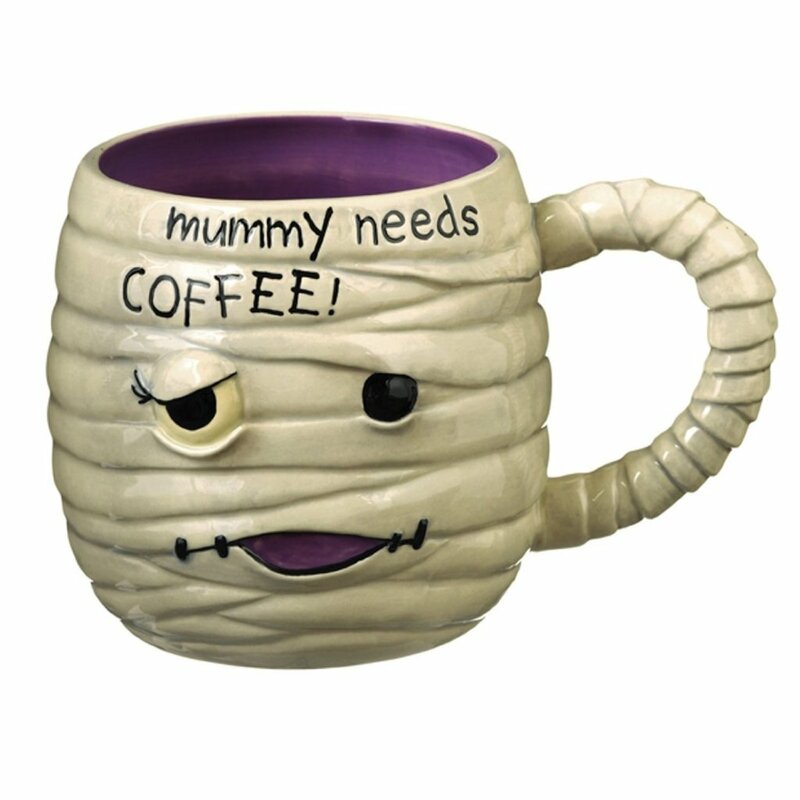 Fun Halloween Mummy Coffee Mug! I love the saying ‘Mummy Needs Coffee’! What a fun Halloween coffee mug! It’s also dishwasher and microwave safe! 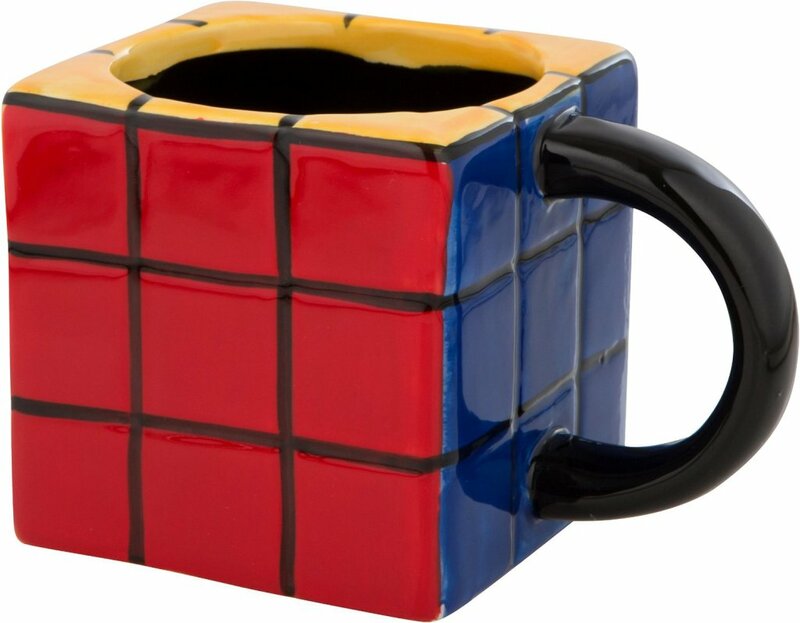 Retro Rubik’s Cube Coffee Mug! This is one of my favorite unique coffee mugs from this page! It’s a cool and colorful Rubik’s Cube shaped coffee mug! *You will also probably LOVE these pages too! Funniest Secret Santa Gift Ideas! The Most Hilarious Gifts for Everyone! HappyGabby is a participant in the Amazon Services LLC Associates Program, an affiliate advertising program designed to provide a means for sites to earn advertising fees by advertising and linking to amazon.com. **I am also a designer associate at Zazzle and as such, I receive compensation for sales that are generated by my affiliate links.